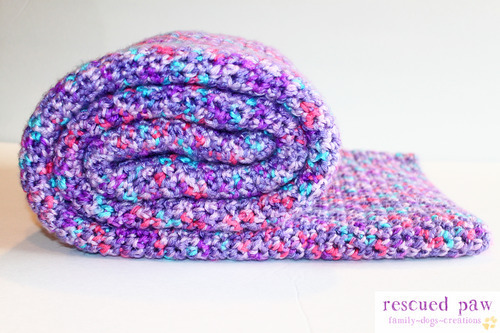 Use this beginner friendly single crochet stitch pattern to make a crochet blanket today! 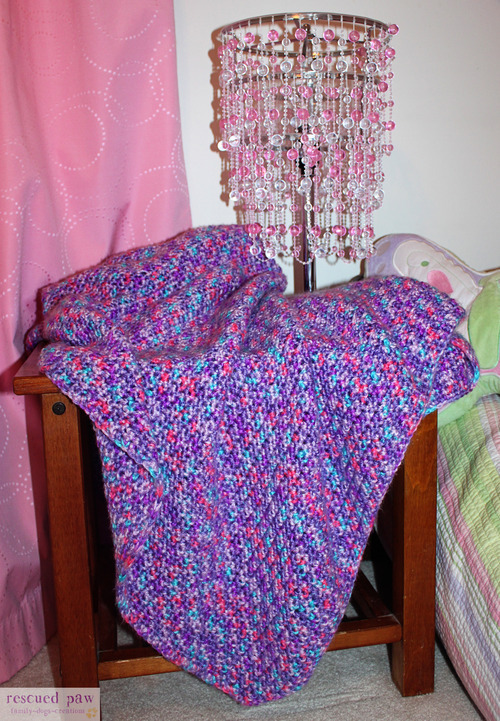 A few weeks ago I finished up a new crochet pattern called Elise’s single crochet blanket! This pattern is simple, uses one stitch and is perfect for beginners! I love single stitch crochet blankets. Now that it is done I am excited to be able to finally share this crochet pattern with everyone! USES THE SINGLE CROCHET STITCH! Back to that one stitch I said I used for this design well it was a single crochet stitch! 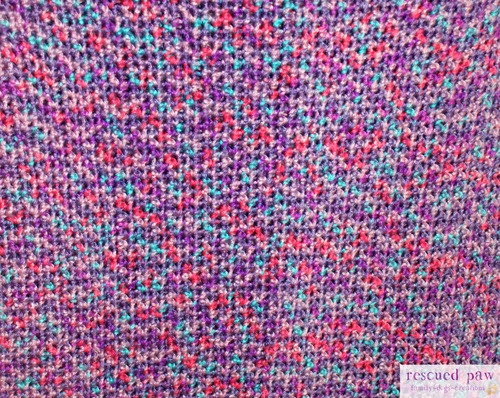 The entire blanket is made of this simple stitch which makes it an extremely quick crochet blanket to work up! 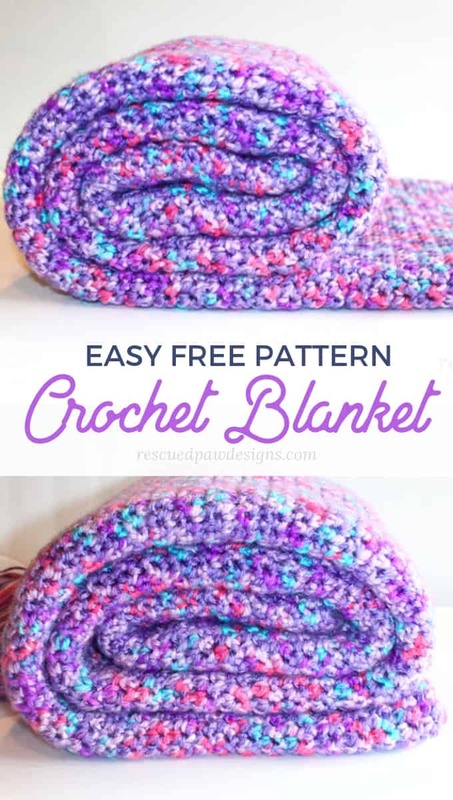 This pattern is a perfect crochet blanket for beginner crocheters or someone looking for a fast DIY project! 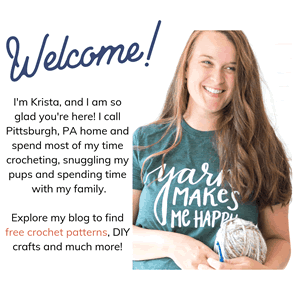 I have also designed a few other projects using single crochet’s that you may like too like the single crochet color blocked blanket and the single crochet chevron blanket! Simple, simple, and simple! (My favorite!) So if you are like me and always need a quick gift for a new baby you could work this simple blanket up in no time! 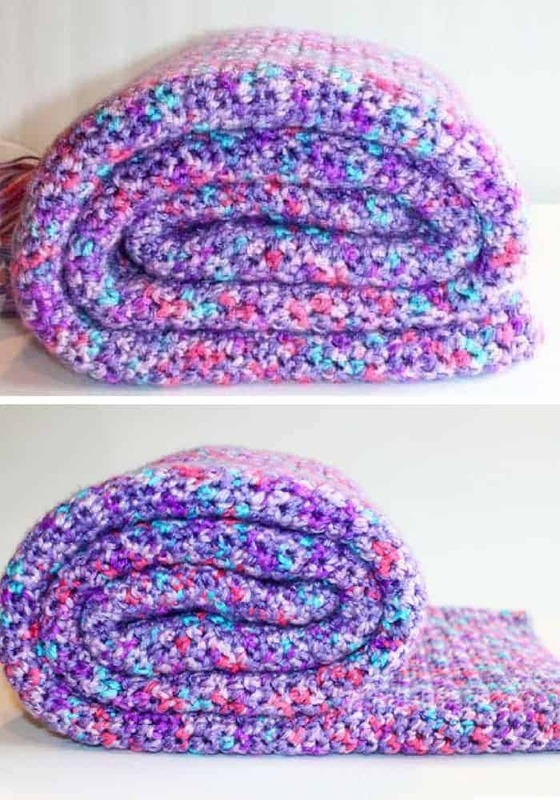 Yep it’s the perfect quick gift since it is a single crochet baby blanket and can be done in one day! THE YARN That’s perfect for this crochet baby blanket! Click the yarn image to check this Red Heart out and to see all the different colors that are available! READY TO GET STARTED on your new favorite crochet blanket? 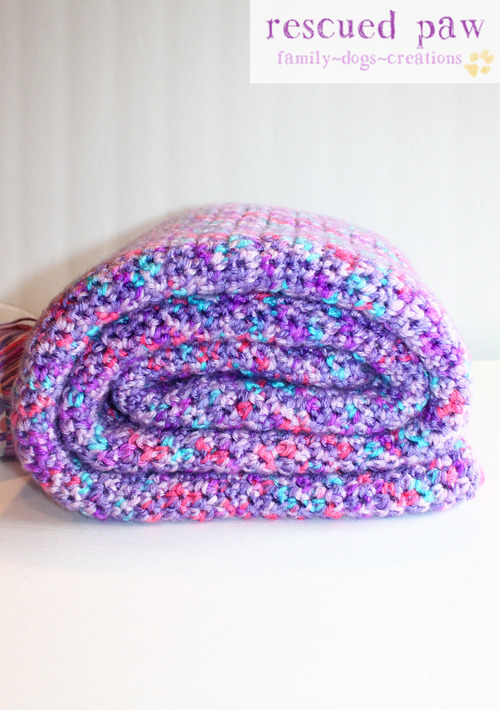 Read on down to get started on this simple single crochet blanket and Happy Crocheting! 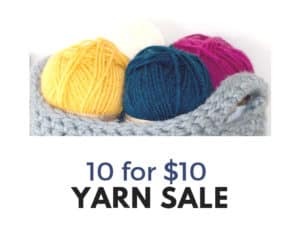 I used 6 skeins of worsted weight yarn, but yours will vary depending on the size of the blanket you choose to make. size can easily be adjusted by chaining any # of chains. ROW 4 -? : Repeat row 3 until you reach your desired length. FINISHING: Fasten off the yarn and weave in all the loose ends with a yarn needle. YOU ARE DONE With your single stitch blanket! That’t it! 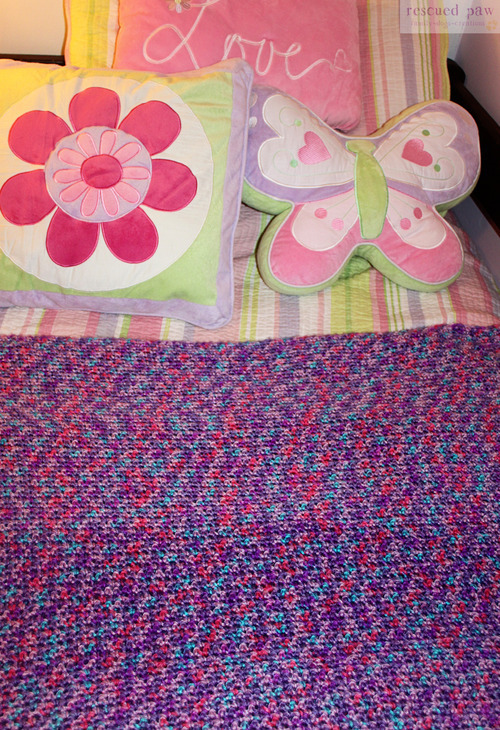 I hope you enjoyed Elise’s Single Crochet Blanket Pattern! 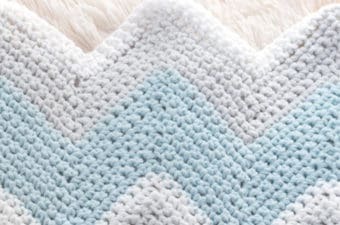 If you make this with a smaller starting chain this would be the perfect single crochet baby blanket! I can’t wait to see all the blankets you make! 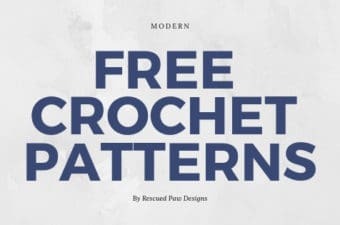 If you have any questions about the pattern, please feel free to ask! 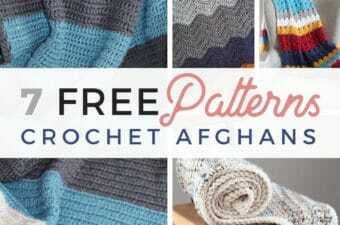 If you’d like even more free blanket patterns check out the blanket suggestions below! Previous Post: « This is what we do on rainy days..